Check out Game of Thrones’ ‘Khaleesi’ in Unreal Engine 4, in this new real-time Youtube video created by the skilled artist, Baolong Zhang. Portrayed by English actress Emilia Clarke, Khaleesi is absolutely gorgeous in HBO’s hit series ‘Game of Thrones’. For her performance, Clarke was nominated for 2 Emmy Awards for Outstanding Support Actress. 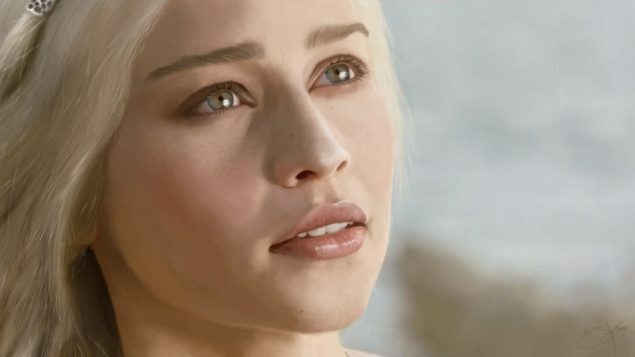 ‘Khaleesi’ also made an appearance in Telltale’s episodic Game of Thrones game series. In the Game of Thrones series and games, Clarke is presented as both tough and charming, and I don’t know anyone who can deny the woman’s apparent beauty. Those interested in seeing more of Clarke in real-time might be in luck, as a 3D artist has published a new YouTube video, featuring Khaleesi in real-time using the Unreal Engine 4. Comments on the video have been great, and viewers have credited the artists’ (Baolong Zhang) work. Zhang also has his own website, which can be viewed here. Now if only Telltale’s Game of Thrones games would look like this.